Beans - There are two main types of coffee beans to look out for. They are known as Coffee Arabica and Coffee Robusta. Many companies will use a blend of both although a more gourmet blend will have a greater concentration of or might be exclusively made up from Arabica beans. Arabica bushes which produce these beans can be found globally. The Robusta bean, however, tends to be planted and cultivated mostly in Asia and is known to have a more acidic and bitter overall taste. It will come down to your personal taste and the intensity of flavor that you enjoy at the end of the day. Roast - You might also see coffee referred to by its roast. Roasting is the process of bringing out the flavor and aroma from the beans which start out green in color but which end up various stages of intense brown. Roasting produces the coffee oil from the bean, and as moisture and oil are drawn out of the bean, it goes from a spongy green into the crunchier and dark bean you are more familiar with seeing being ground and made into coffee powder. You can find light roasts, medium ones, Medium Dark roasts and the most intense being a Dark Roast. 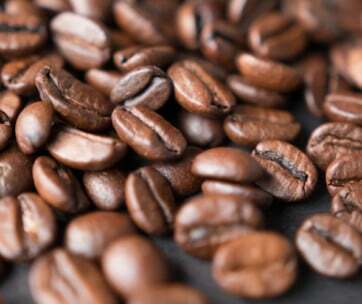 A medium roast is associated with an American coffee whereas a dark roast is typified by a French or Italian blend. They all have their own unique taste and texture, so it’s entirely a case of personal preference as to the flavor you prefer. 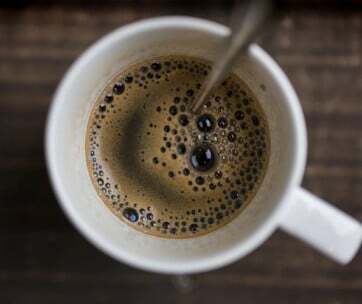 Caffeine - Generally speaking, a regular 8-ounce serving of instant coffee will contain anywhere from 27 to 173 mg of caffeine with the majority sitting at around the 65 to 90 mg mark. 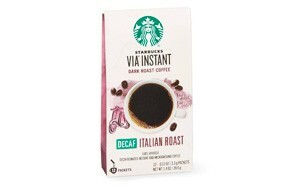 You can of course also go for decaf instant too which will have about 2 to 12 mg of caffeine. So choose your poison carefully as there is quite literally a world of difference in both the intensity of flavor and the possible side effects too of drinking a 40 gm serving of coffee versus a 170 gm one! We’re talking rocket fuel! 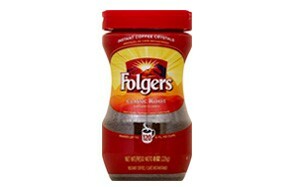 Convenience - The single most significant advantage of instant coffee is its total convenience. Typically stored in a glass jar with an airtight sealed lid, all you need is a spoon and some hot water, and you can quite literally enjoy a hot cup of delicious tasting instant coffee wherever you are. 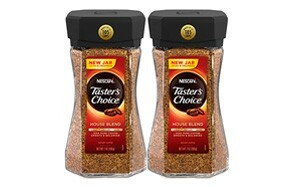 The whole beauty of instant coffee is that it is very much designed to be convenient. Spray-drying - With spray drying the coffee extract is sprayed directly into a stream of hot air inside a cylindrical style tall standing tower. As the droplets fall, they become a dry, fine powder. In some instances, that powder is then texturized into the familiar granular consistency that is quickly dissolved with hot water. 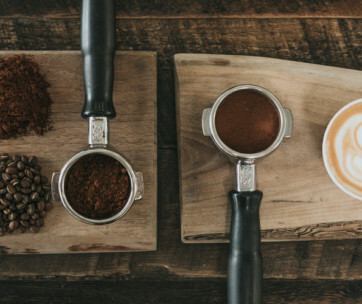 Thanks to the fast drying technique of spray-drying, the quality of both the flavor and aroma are maintained which is what makes this such a popular process adopting by many of the big instant coffee manufacturers. Freeze-Drying - With this technique known as freeze-drying, the coffee extract is taken and physically frozen at a temperature of about -40 degrees Celsius. It is then literally cut into granules, and those granules are further dried and vacuumed. The more gentle drying conditions and low temperatures protect the quality, taste, flavour, and aroma of the instant coffee produce created.